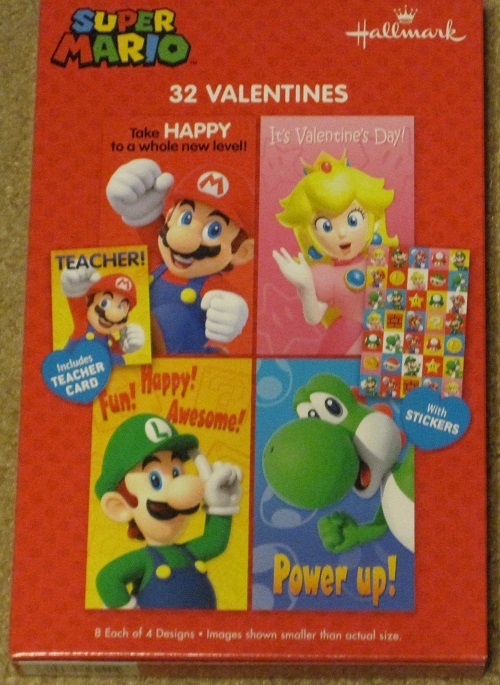 Remember when you were in elementary school (or maybe you have kids in elementary school now), and on Valentine’s Day you’d buy those cheap paper valentines with popular cartoon characters on them and give them out to your classmates? Well they still make those, and now they have Mario ones! It’s about time, right? So let’s take a look at them. Here is a bigger picture of the front of the box. The back of the box shows everything you get. 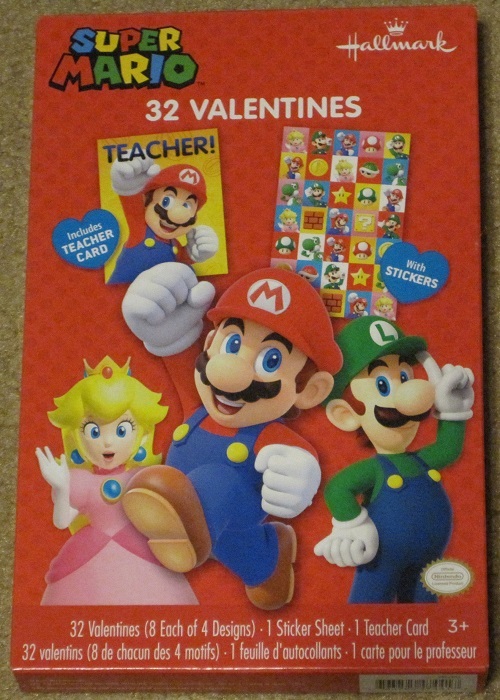 There are four different ones (kind of bland, really), a teacher card, and stickers! Ooooo! Hallmark is doing some cool things lately.